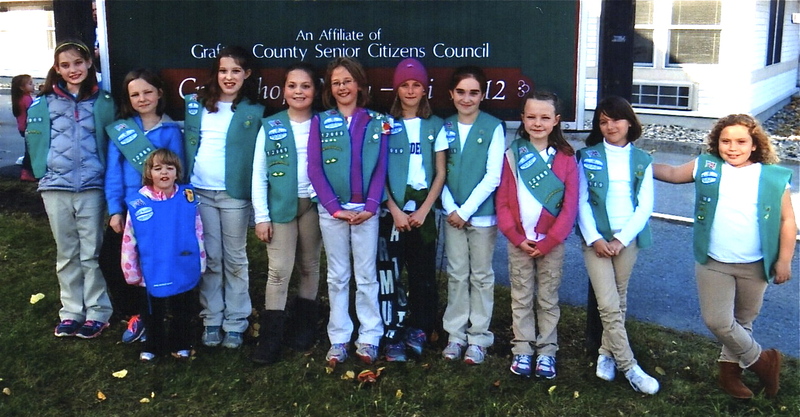 We are delighted to have received a donation from Lebanon Girl Scout Junior Troop #12969, earned through their sales of Girl Scout Cookies. We hope it won’t be long before we see them on the MRG, biking, walking, x-country skiing on the trail they helped build! Thanks to their leader, Sarah Craig, for sending this photo.